Allen Stone, Summit at Sea, Nov. 9 - Nov. 12, 2016. Cal Fussman & Robert Pittman, Summit at Sea, Nov. 9 - Nov. 12, 2016. Carl Bernstein, Summit at Sea, Nov. 9 - Nov. 12, 2016. Sam Jay, Summit at Sea, Nov. 9 - Nov. 12, 2016. Mo Amer, Summit at Sea, Nov. 9 - Nov. 12, 2016. Ben Gleib, Summit at Sea, Nov. 9 - Nov. 12, 2016. Thomas Dale, Summit at Sea, Nov. 9 - Nov. 12, 2016. Azhar Usman, Summit at Sea, Nov. 9 - Nov. 12, 2016. Marcella Arguello, Summit at Sea, Nov. 9 - Nov. 12, 2016. Dana Torres, Summit at Sea, Nov. 9 - Nov. 12, 2016. Erin Brockovich, Summit at Sea, Nov. 9 - Nov. 12, 2016. Summit at Sea, Nov. 9 - Nov. 12, 2016. Erin Brockovich and Ellen Gustafson, Summit at Sea, Nov. 9 - Nov. 12, 2016. Foster the People, Summit at Sea, Nov. 9 - Nov. 12, 2016. Gallant, Summit at Sea, Nov. 9 - Nov. 12, 2016. Gary Vaynerchuk, Summit at Sea, Nov. 9 - Nov. 12, 2016. Herbie Hancock, Summit at Sea, Nov. 9 - Nov. 12, 2016. Herbie Hancock, Jason King and Kamasi Washington, Summit at Sea, Nov. 9 - Nov. 12, 2016. Jose Gonzalez, Summit at Sea, Nov. 9 - Nov. 12, 2016. Kendrick Lamar, Summit at Sea, Nov. 9 - Nov. 12, 2016. 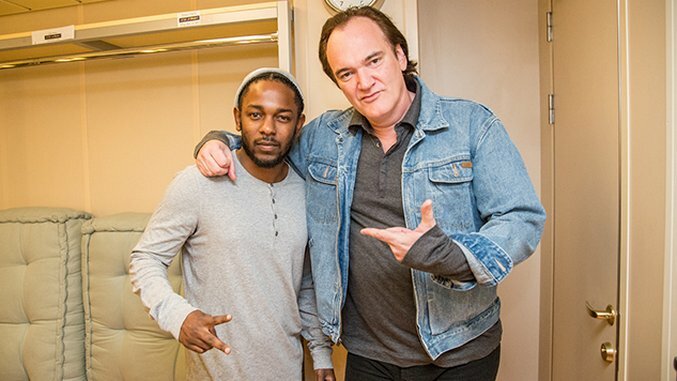 Kendrick Lamar and Quentin Tarantino, Summit at Sea, Nov. 9 - Nov. 12, 2016. Quentin Tarantino, Maceo Keeling and Kendrick Lamar, Summit at Sea, Nov. 9 - Nov. 12, 2016. Quentin Tarantino, Jermaine Dupri and Kendrick Lamar, Summit at Sea, Nov. 9 - Nov. 12, 2016. Miles Chamley-Watson, Summit at Sea, Nov. 9 - Nov. 12, 2016. Baratunde Thurston and Norman Lear, Summit at Sea, Nov. 9 - Nov. 12, 2016. Cristela Alonzo, Sonia Sanchez and Dolores Huerta, Summit at Sea, Nov. 9 - Nov. 12, 2016. Sonia Sanchez and Dolores Huerta, Summit at Sea, Nov. 9 - Nov. 12, 2016. Eryn Allen Kane, Summit at Sea, Nov. 9 - Nov. 12, 2016. Lil Buck and Alexa Meade, Summit at Sea, Nov. 9 - Nov. 12, 2016. Jon Boogz, Summit at Sea, Nov. 9 - Nov. 12, 2016. Lil Buck, Summit at Sea, Nov. 9 - Nov. 12, 2016. Sonia Sanchez and Aja Monet, Nov. 9 - Nov. 12, 2016. Shefali Tsabary, Summit at Sea, Nov. 9 - Nov. 12, 2016. Aja Monet, Summit at Sea, Nov. 9 - Nov. 12, 2016. Cal Fussman and Perry Farrell, Summit at Sea, Nov. 9 - Nov. 12, 2016. Cal Fussman, Summit at Sea, Nov. 9 - Nov. 12, 2016. Perry Farrell, Summit at Sea, Nov. 9 - Nov. 12, 2016. Perry Farrell and Cal Fussman, Summit at Sea, Nov. 9 - Nov. 12, 2016. Haben Girma, Summit at Sea, Nov. 9 - Nov. 12, 2016. Living sculpture, Summit at Sea, Nov. 9 - Nov. 12, 2016. Patrisse Cullors, Summit at Sea, Nov. 9 - Nov. 12, 2016. Stan Kroenke and Kevin Vilkin, Summit at Sea, Nov. 9 - Nov. 12, 2016. Thievery Corporation, Summit at Sea, Nov. 9 - Nov. 12, 2016. Tony Hawk and Grayson Schaffer, Summit at Sea, Nov. 9 - Nov. 12, 2016.
will.i.am and Jeff Rosenthal, Summit at Sea, Nov. 9 - Nov. 12, 2016.
will.i.am, Summit at Sea, Nov. 9 - Nov. 12, 2016. Wim Hof, Summit at Sea, Nov. 9 - Nov. 12, 2016. Last week, Summit at Sea hosted almost 3,000 entrepreneurs, activists, artists, entertainers, athletes and other ridiculously smart and successful people on a trip from Miami to Nassau and back. The ship served as a think tank detached from the distractions of the internet, where collaborators ranging from Black Lives Matter cofounder Patrisse Cullors, director Quentin Tarantino, musician Kendrick Lamar, social activist Erin Brockovich and many more could lecture, participate in panels, and, in the case of international jam bands like Thievery Corporation, put on one hell of a show. Black Eyed Peas MC will.i.am kicked off the presentations on Wednesday with a discussion alongside Summit co-founder Jeff Rosenthal about forming a “Do Party”—to actively engage communities outside of entertainment; fitting words as the conference launched shortly after the election. Participants (90% of the attendees are invited) had the option to engage in tracks as diverse as storytelling, athletic performance, diet, history, music and Asian business. The conference curated workshops and lectures from tech executives including Google Chairman Eric Schmidt and private equity leader Gary Vaynerchuk. Paste photographer Amy Harris captured the eclectic experience, photographing Olympians, tech giants, comedians and musicians (sleep, optional).